We’ve put the final touches on our upcoming Design Charrette for the Medline LCI. It will be held at Masala Indian Restaurant located in Patel Plaza on 3/29. A light breakfast and lunch will be provided. We hope that we can count on you to help us spread the word about the event to your networks, neighbors and other interested stakeholders. 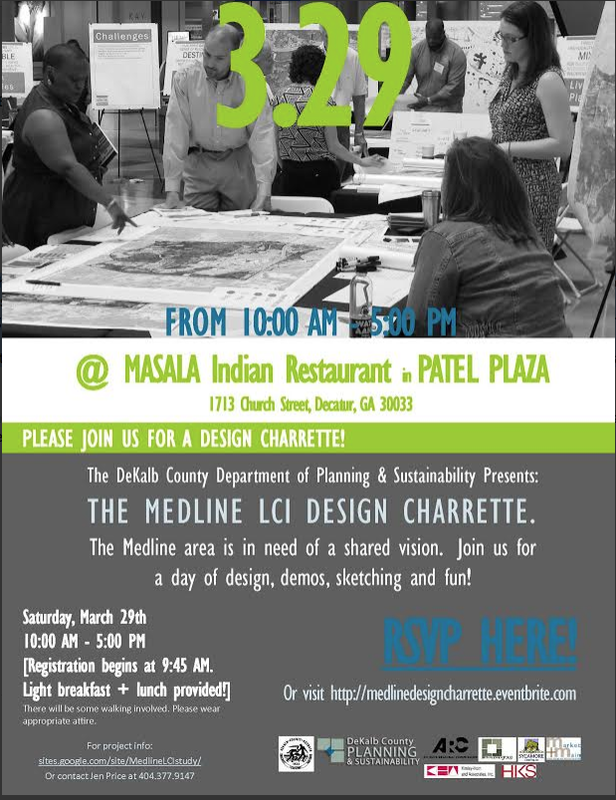 Please encourage people to pre-register at: medlinedesigncharrette.eventbrite.com. It should be an exciting and interactive event! You can also visit the Medline LCI website to learn more about this study and review documents from previous presentations and community meetings.